An indication of the importance of stickleback to research can be seen just by the number of scholarly articles being published. 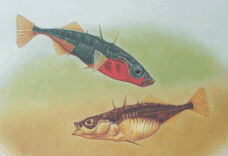 Google Scholar lists over 330 articles referring specifically to the Texada Island stickleback species pairs and over 23,000 for sticklebacks in general. 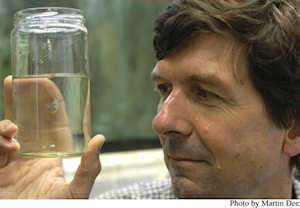 Dr. Dolph Schluter of the University of British Columbia Zoology Department and Biodiversity Research Centre is one of the major researchers for Stickleback Species Pairs in British Columbia. 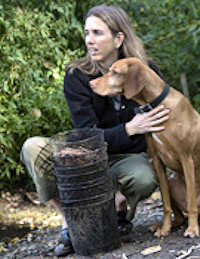 Dr. Katie Peichel of the Fred Hutchinson Cancer Research Center Peichel Lab and University of Washington. Dr. David Kingsley, Stanford University. "Critical Habitat Survey for Threespine Stickleback Species Pairs: Aquatic Vegetation Mapping in Priest and Paxton Lakes, Texada Island, BC"
Applied Genetic News "Stickleback Gene Map Created"
Genome News Network "A genetic map of the three-spined stickleback"
It is important to note researchers are governed by strict guidelines on collection and use of endangered stickleback species pairs - see: Guidelines for the Collection and In Situ Scientific Study of Stickleback Species Pairs (pdf).